If you want to wish a happy anniversary to a key corporate person, this is the sweet and congenial gift that you can buy from our website. 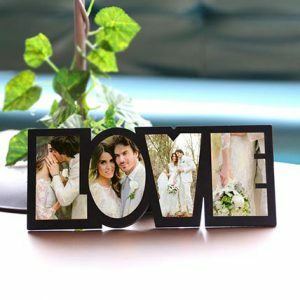 Just pick up some nice pictures of the couple and we would place them perfectly on this L-O-V-E photo frame. The gift receiver would be more than just surprised.